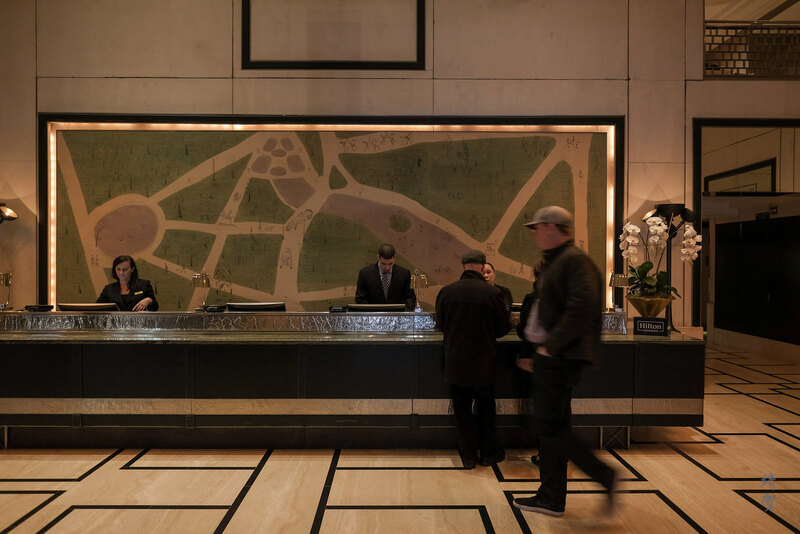 From New York’s JFK airport, we took an Uber to the London NYC which is under the process of being re-branded into a Conrad Hotel. The hotel was located in Midtown on 54th Street and 7th Avenue, with the Uber costing us ~$75. 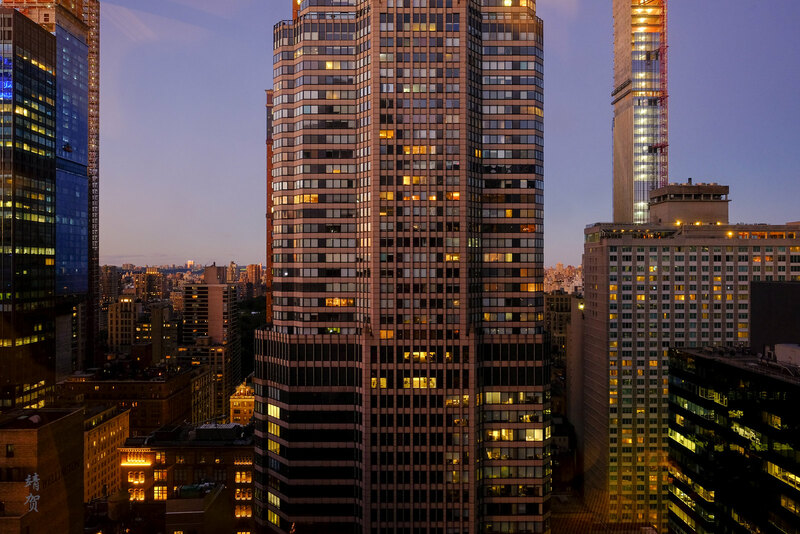 Location of the hotel was great in accessing Central Park or Times Square and close to the shopping in 5th Avenue too. A bellman offered to hold our luggage for us while we checked in at the reception desk inside the lobby. I had actually left my camera in the Uber car and the driver actually made his way to the lobby to return it to me. I did have to note that I lost my headphones in between the time I left the flight and reaching the hotel. Either I might have misplaced it or just lost it along the way. The hotel is an all-suite hotel so the rooms are generally larger than most. 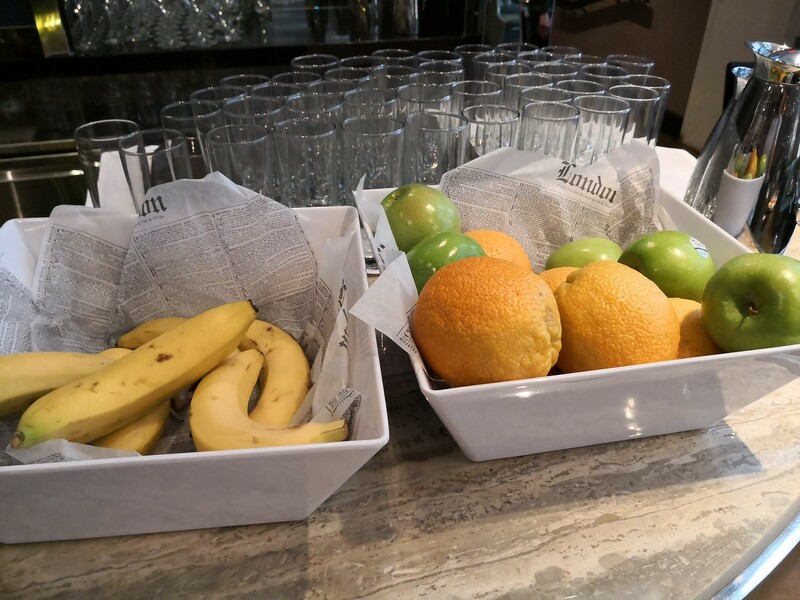 While there was no additional upgrade for Hilton Diamond members, we were told that breakfast would be included and served at the restaurant located beside the reception desk. Our room was not ready yet and we were told to return around 10 am when a suite should be ready. Thus we proceeded to have breakfast at one of the numerous restaurants dotting the city and getting some sunshine before returning to the hotel. 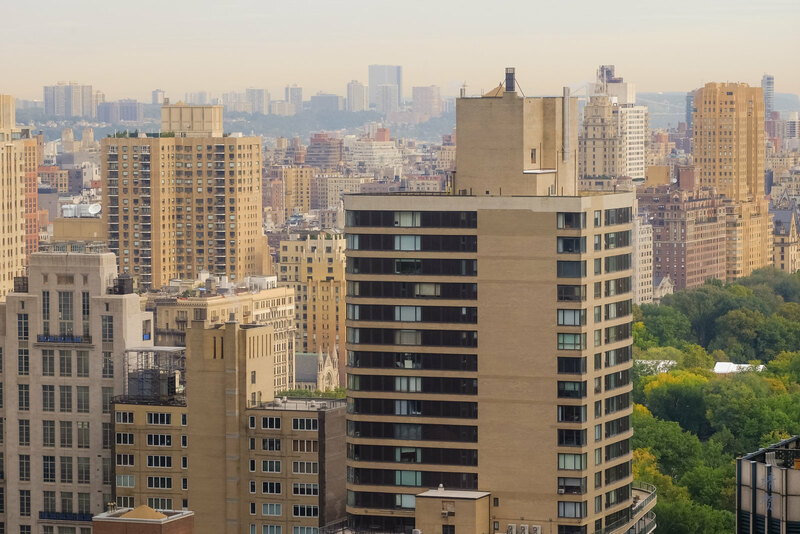 I had also requested for a room with a view of the Central Park but due to the location, there are at most partial views available. We were, however given a room on a high floor which was very much appreciated. 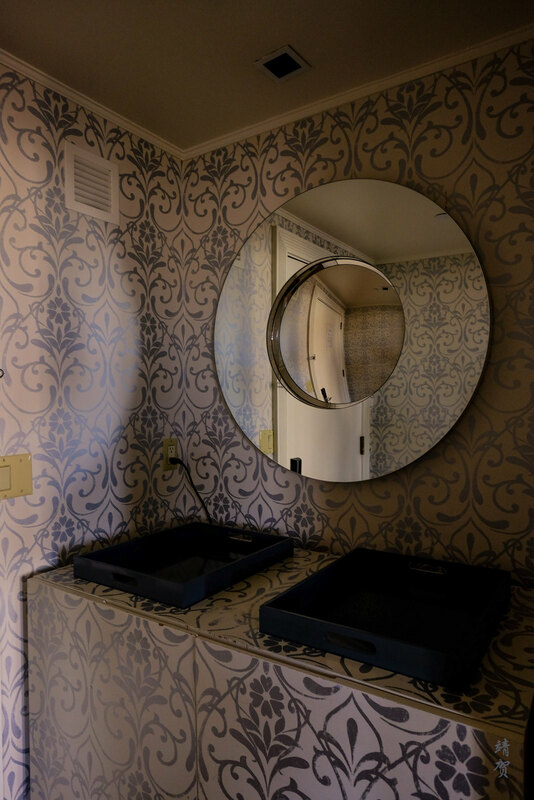 On entry into the suite, there was a nice foyer with a console and a circular wall mirror placed on the left. This provided a convenient space to leave your room keys and other small necessities you need on your way out. Past the foyer, the living room was visible and comprises of a sofa taking up the alcove like space at the end of the room with a circular coffee table in the middle. A hanging lamp is positioned on one side of the sofa. There is a work desk with a chair on end side of the wall. Across the desk, there is a pair of doors leading to the bedroom while a rocking chair was placed on the corner with a small side table and a standing lamp. This makes for a very nice reading corner. Moving into the bedroom proper there was a King sized bed with bedside tables and a bench at the bottom of the bed. 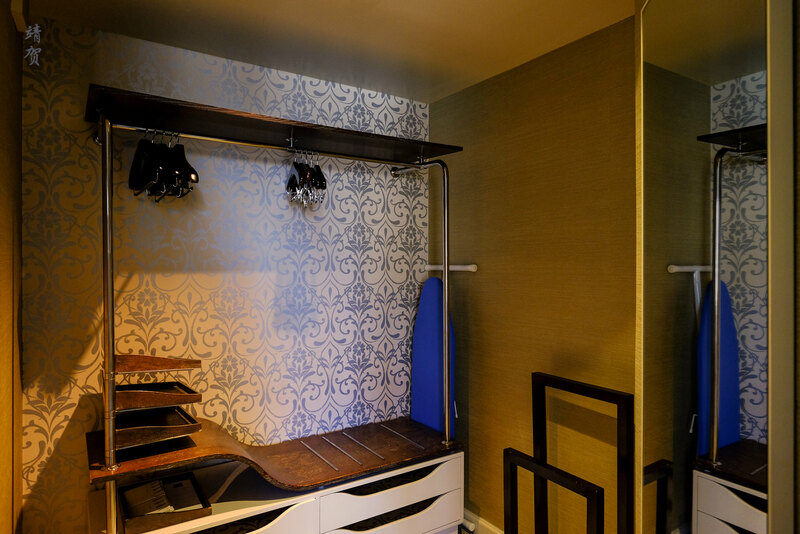 Next to the bedroom there was an alcove that contains a open closet with a freestanding jacket and pants hang stand. Plenty of hangers meant there was space for couples to hang their clothes for a longer stay in the city. Beside the closet was the spacious bathroom. 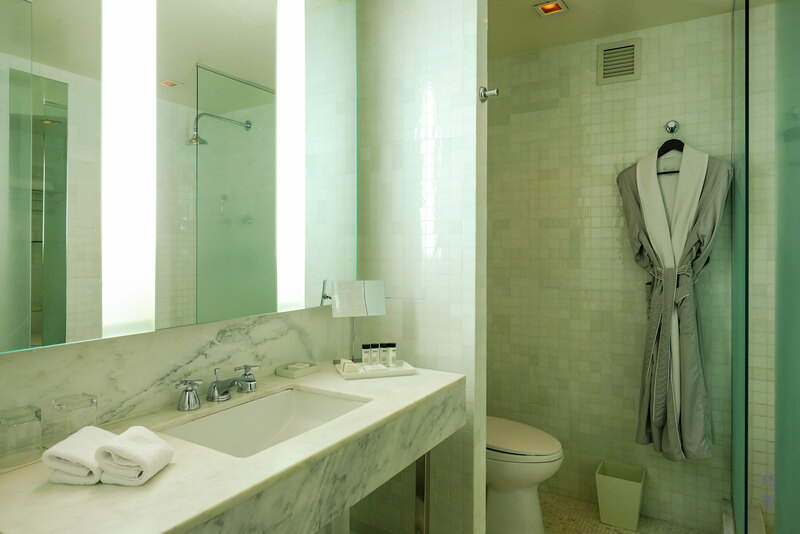 There was a large marble countertop on the left of the bathroom though it featured only one sink. It does have bright mirrors that helps for ladies to make up. At the end of the countertop was a partially shielded toilet with hangers where the towels and bathrobes are found. Across from the countertop was the large shower area. As a modern hotel, there was no bathtub here which I preferred. Instead there was 2 shower sections inside the walk-in cubicle at both ends that has frosted glass partitions. 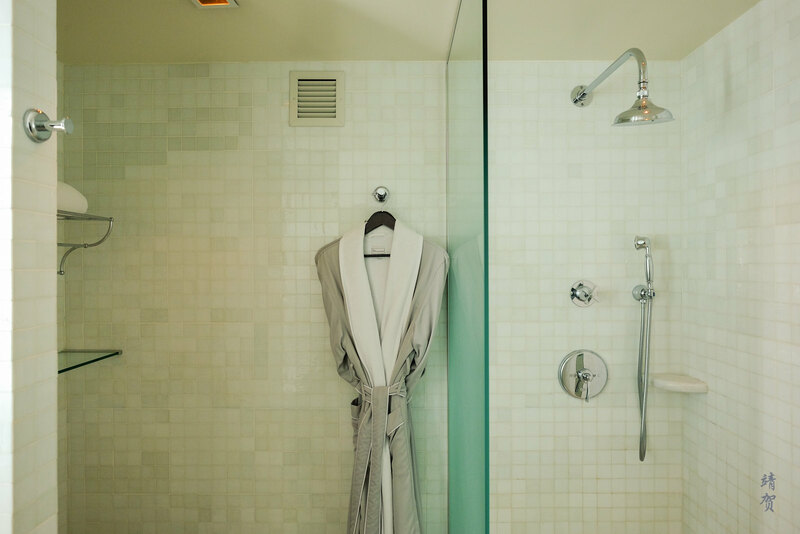 The shower has both a rain shower head and a hand held one. 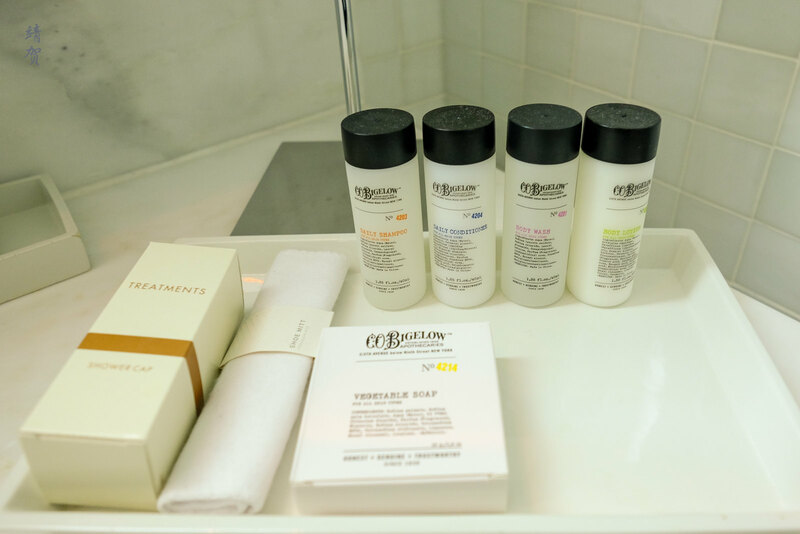 Bath amenities are supplied by C.O. Bigelow, a New York based apothecary and it was a nice scent which I liked. I certainly hope the hotel does not change it to the usual Conrad amenities in order to keep it unique for its New York roots. 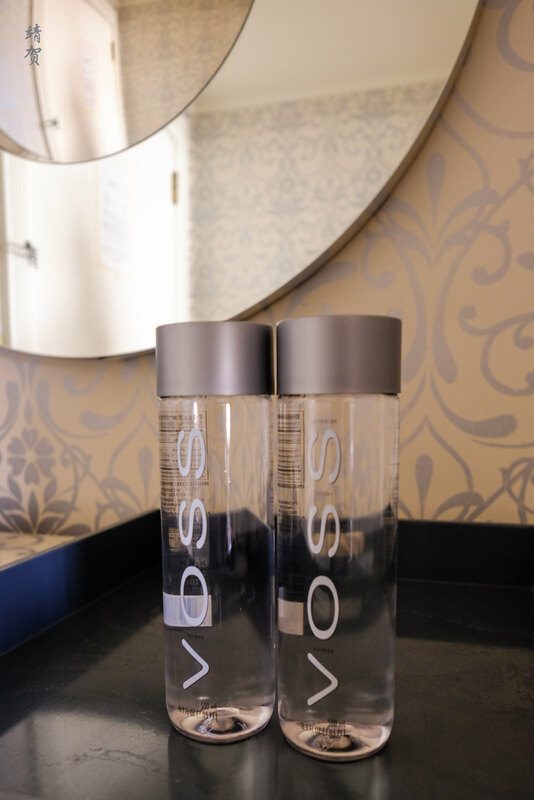 Hilton members gets free bottled water daily and the provided was the nice Voss bottled water. It was not possible to get extra bottles of water though as they seemed pretty strict about the 2 bottles limit. 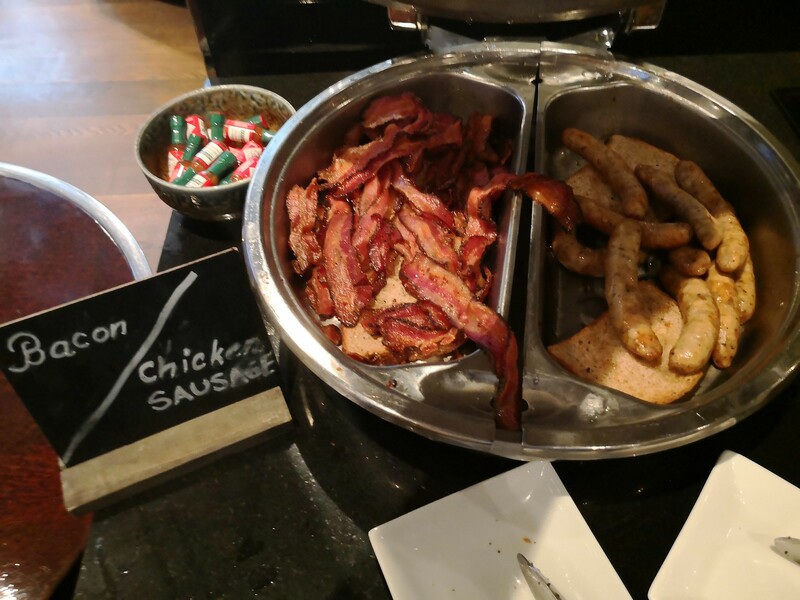 As a Hilton Diamond member, I was able to get complimentary breakfast for 2. 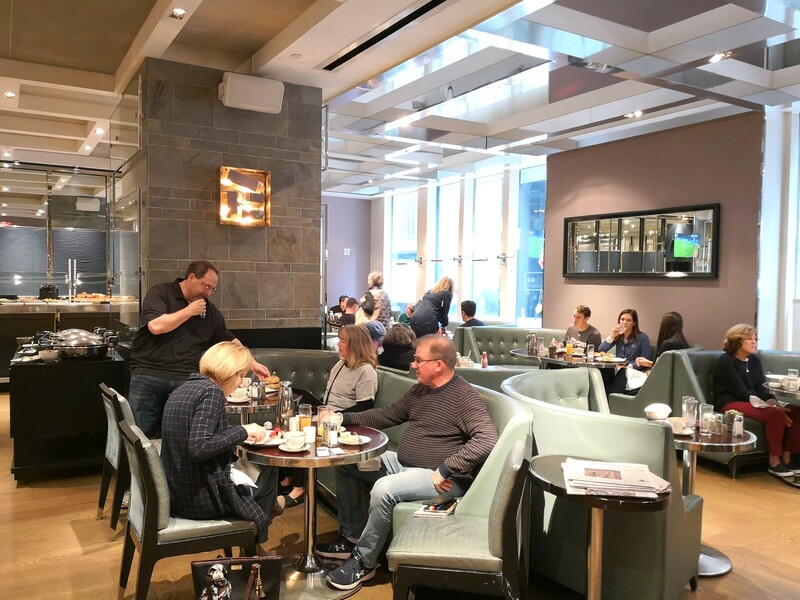 How the breakfast works here is that guests could get the Continental breakfast selection, and for 2 persons that meant a $48 credit every morning applicable for breakfast expenses at the restaurant only. The breakfast restaurant is just on the right side of the reception desk in a beautiful restaurant. The restaurant interior resembles that of an upscale diner with comfortable booth chairs upholstered in a pastel blue/green color. 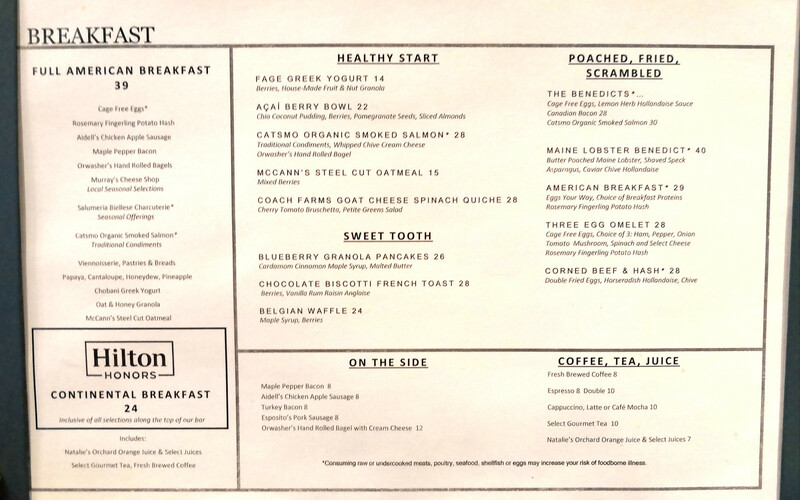 The menu inside the restaurant was adequate as well with prices that match other breakfast establishments in New York City. It is easy to go over the $24 limit per person but there are enough choices to ensure one is within the limits. In addition, I believe the hotel would not charge guests for exceeding a couple of dollars above the limit either, so like ordering a bit more due to the addition of coffee or juices would still be complimentary. 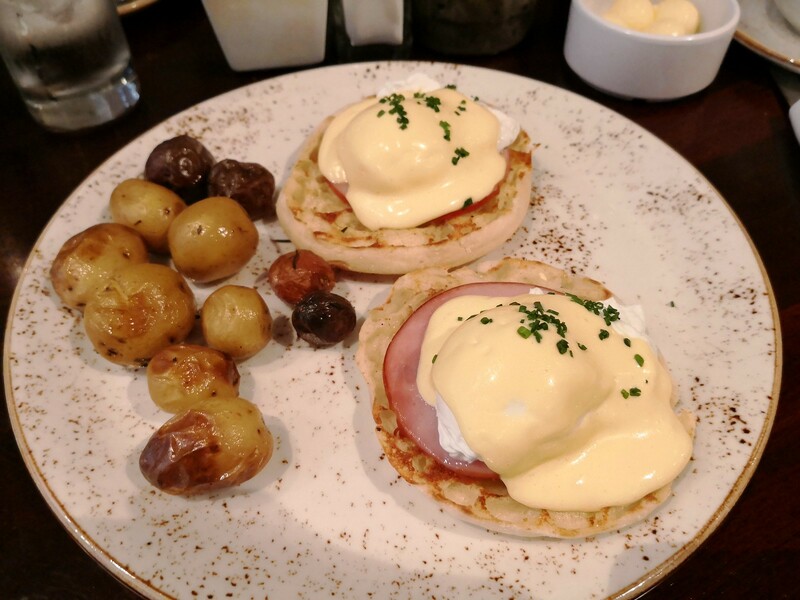 Over the couple of mornings, we tried the classic eggs benedict and the waffles. Compared to more substantial eggs benedict served at other breakfast outlets I have tried, this one was average at best. 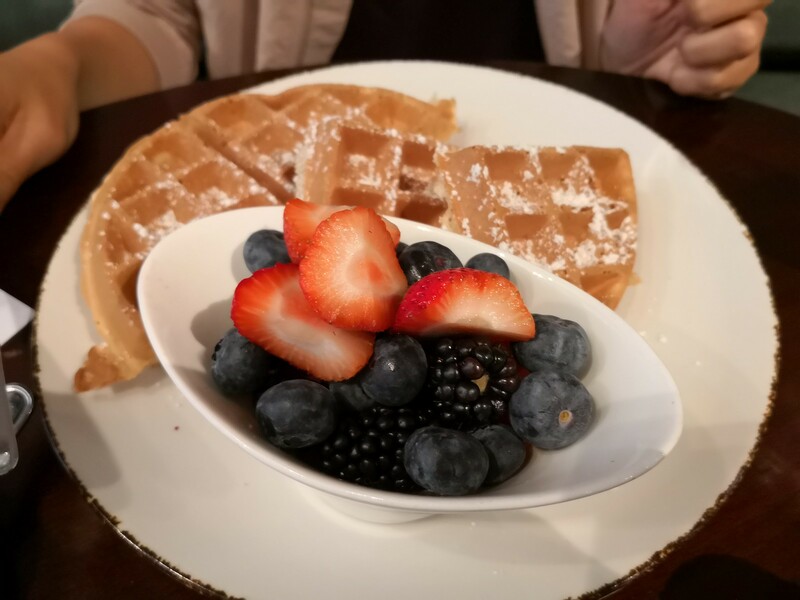 The waffles though was nicely done as it was still a bit crispy and served with a generous portion of mixed berries which I enjoyed. 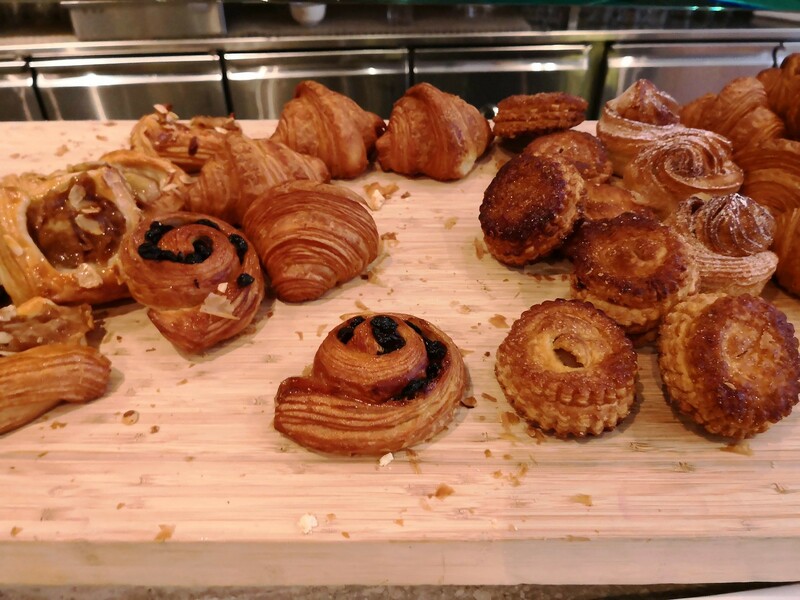 For the continental breakfast selection, guests could enjoy the full range of buffet in the top section of the buffet console only. 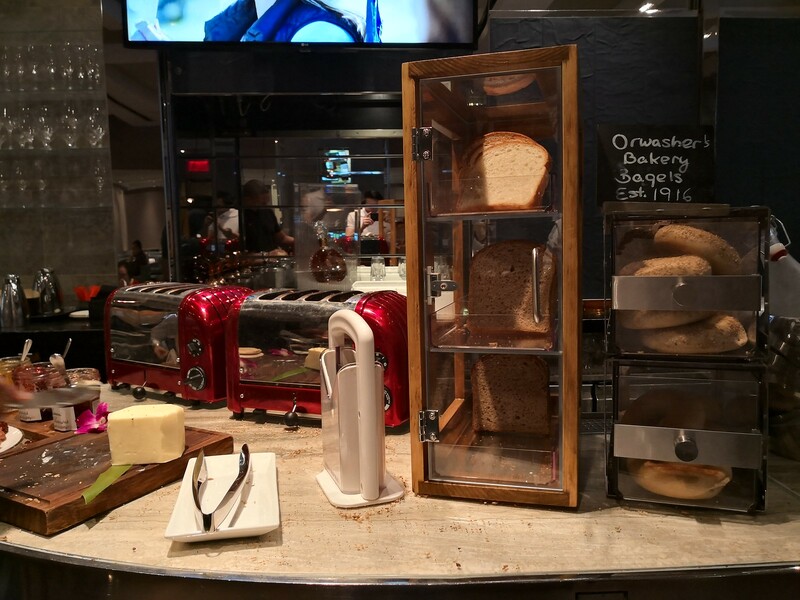 The continental breakfast variety consists of the usual toast and bagels. 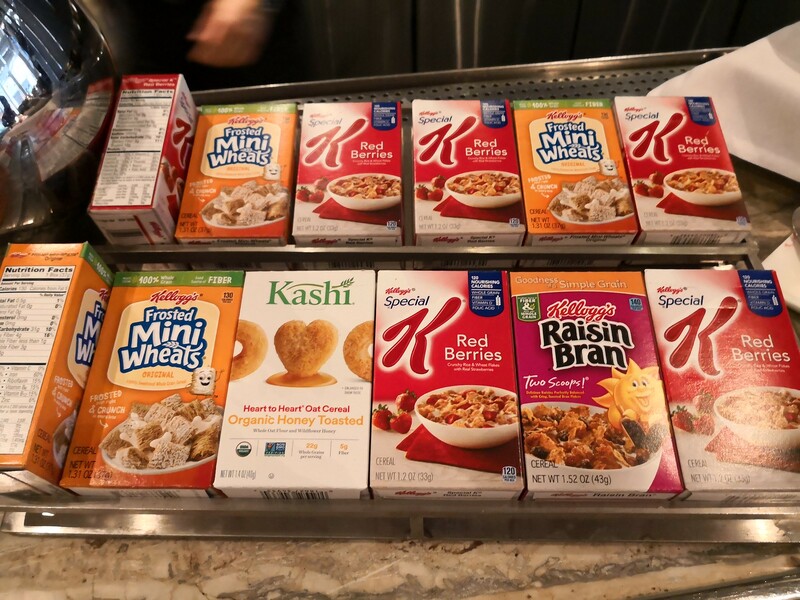 Small boxes of cereal was provided for diners along with granola from the jars. 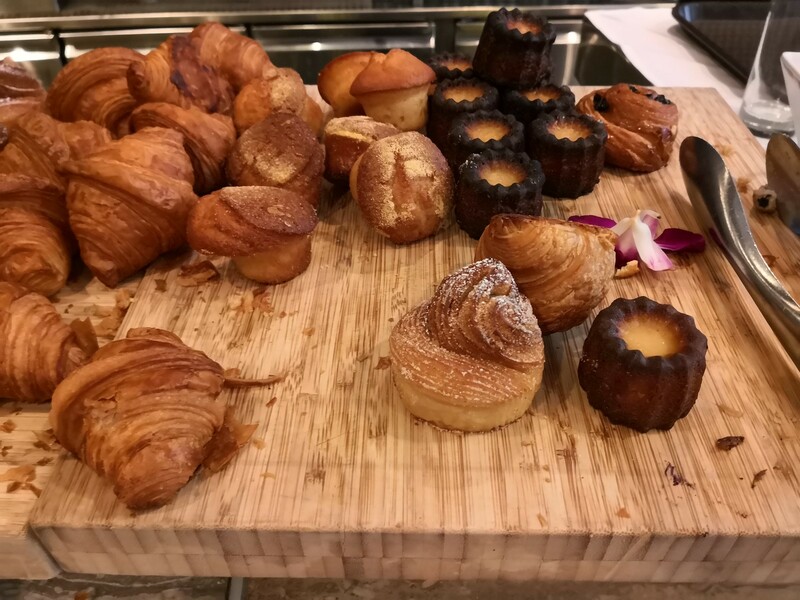 The usual croissants and sweet pastries are plentiful as well and it was nice to see mini caneles on the continental buffet as I enjoy these little treats. 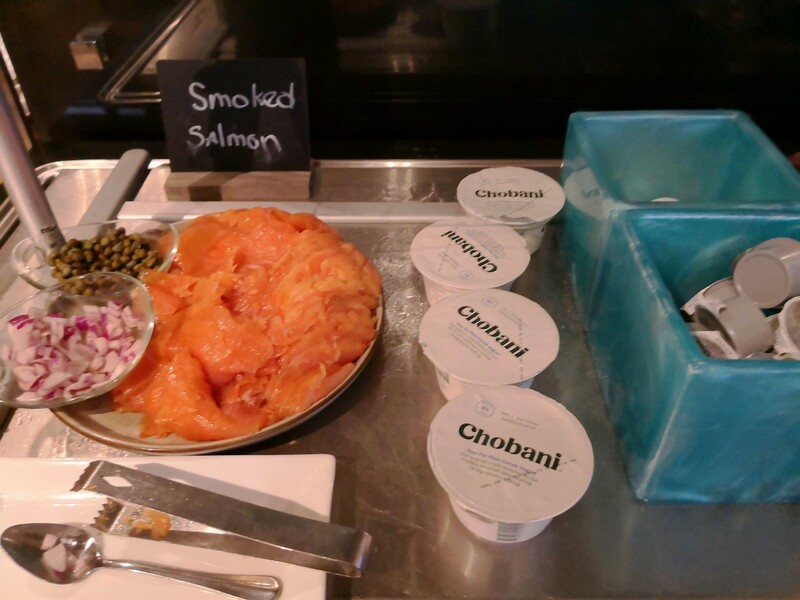 For cold cuts, there was a seasonal selection of ham and salamis in addition to sliced smoked salmon being placed alongside individual portions of Chobani yogurt. 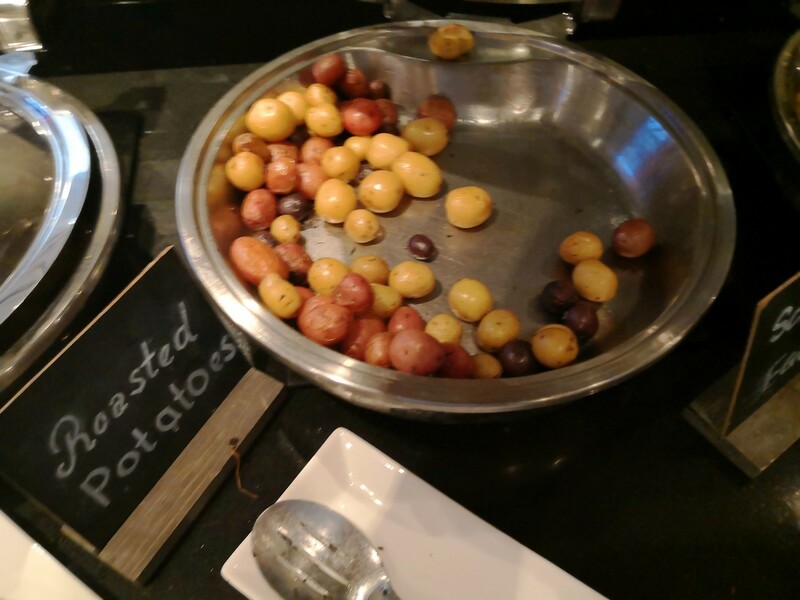 There was also a pan full of hot oatmeal in the continental side of the buffet. 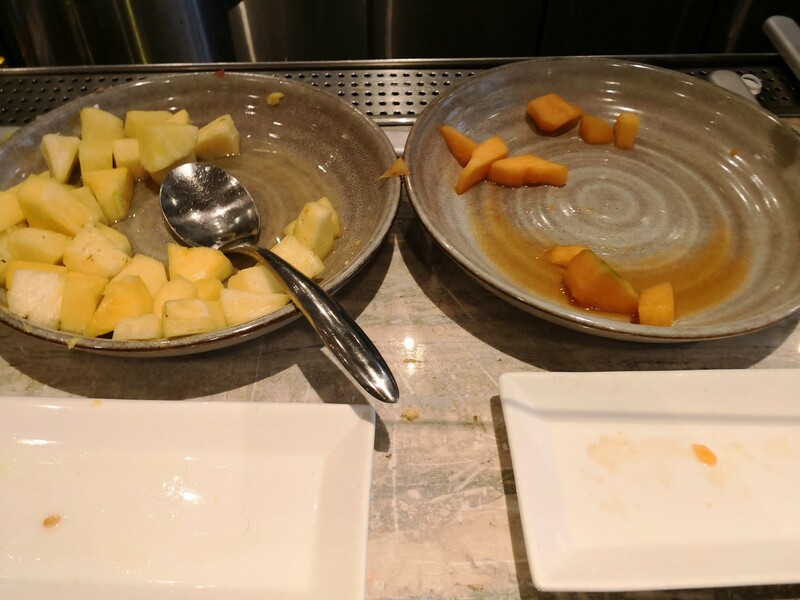 Finally there was fresh fruits like bananas and oranges in a bowl. 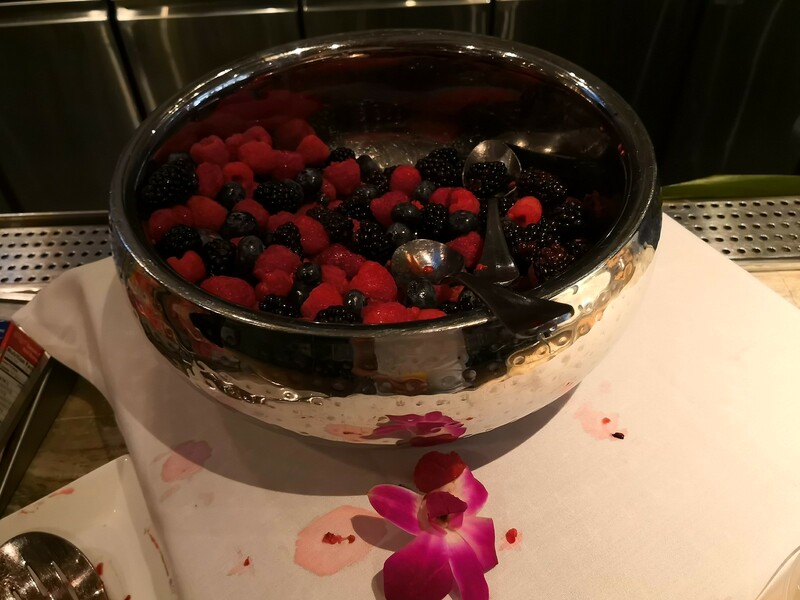 Mixed berries were available as well while the cut fruits selection includes papayas, pineapples, watermelon and honeydew. 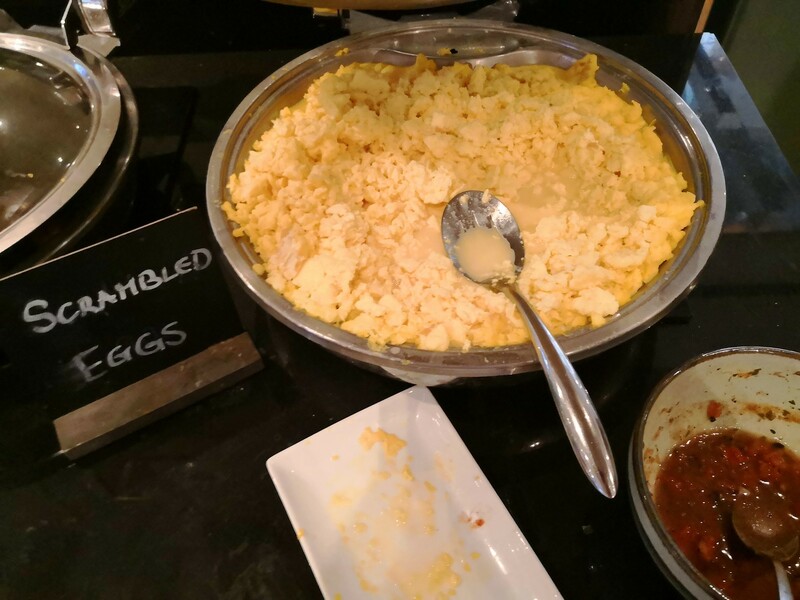 The full American breakfast includes a section of more substantial food like the scrambled egg, roasted potatoes, bacon and sausages. 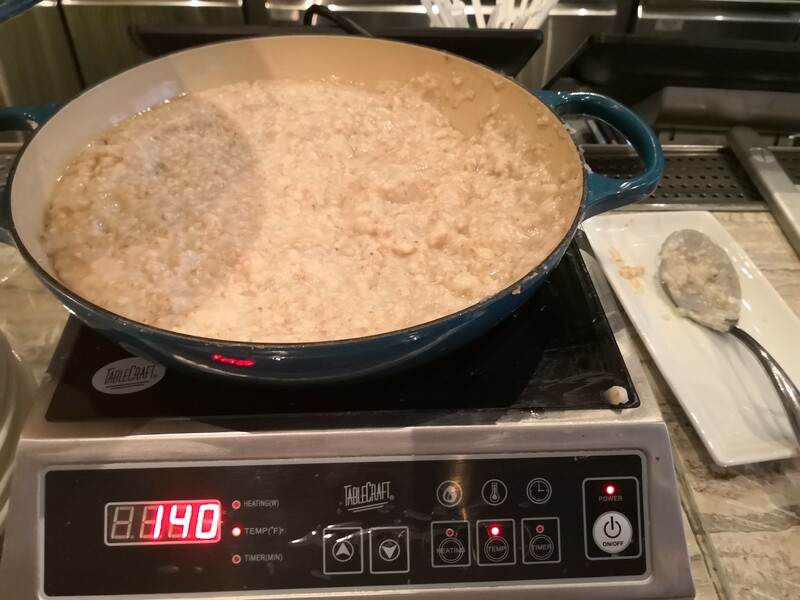 Breakfast in The London was alright but not spectacular by any means since the selection was not the best and neither was the dishes outstanding. However the flexibility of choice meant it was enjoyable enough for guests staying over several days in the hotel. 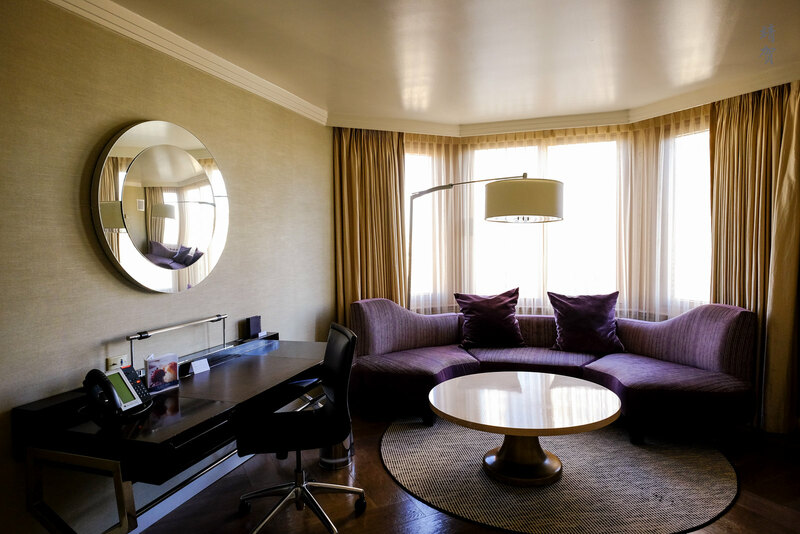 As a city center hotel, there was not much in terms of other facilities in the hotel. The hotel has a valet parking service and like all New York City hotels, this comes at a hefty price tag of $65++ per day. Self parking in Midtown would probably be around $50-60 per day. 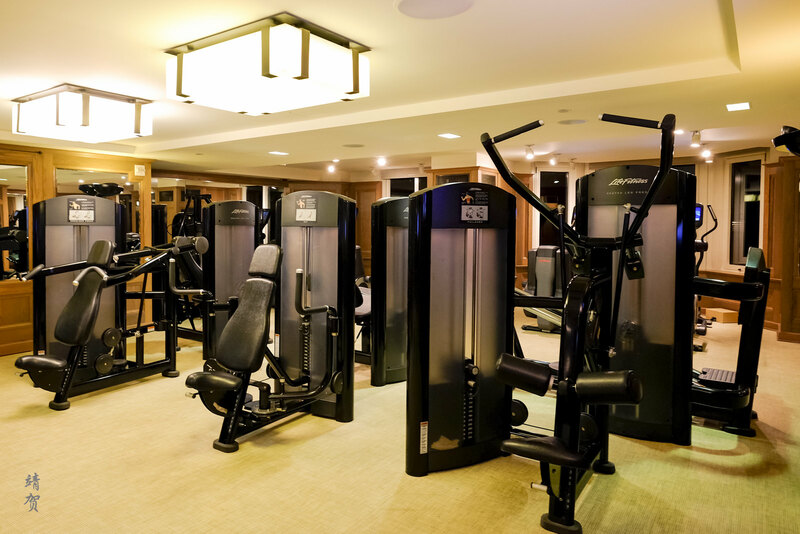 The only facility of note here is a 24-hour fitness centre located in the building. 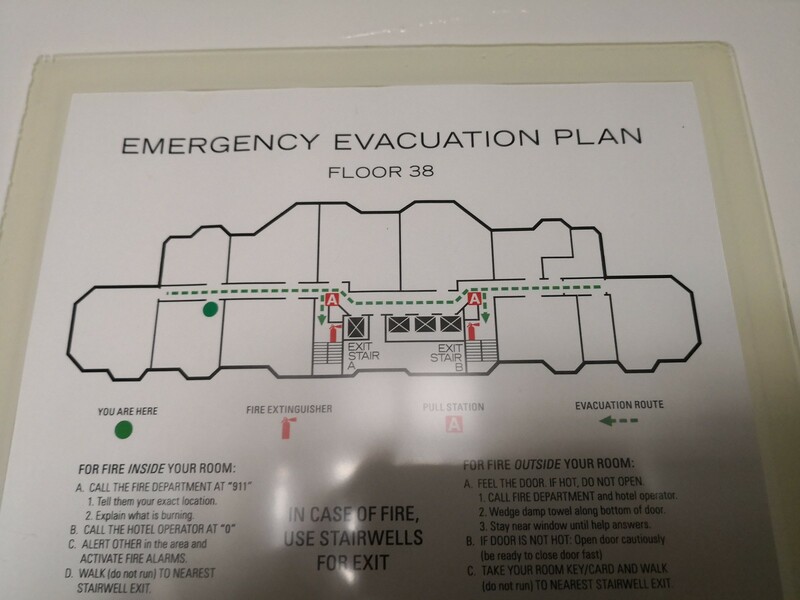 Access is via the elevators and using the room keys. 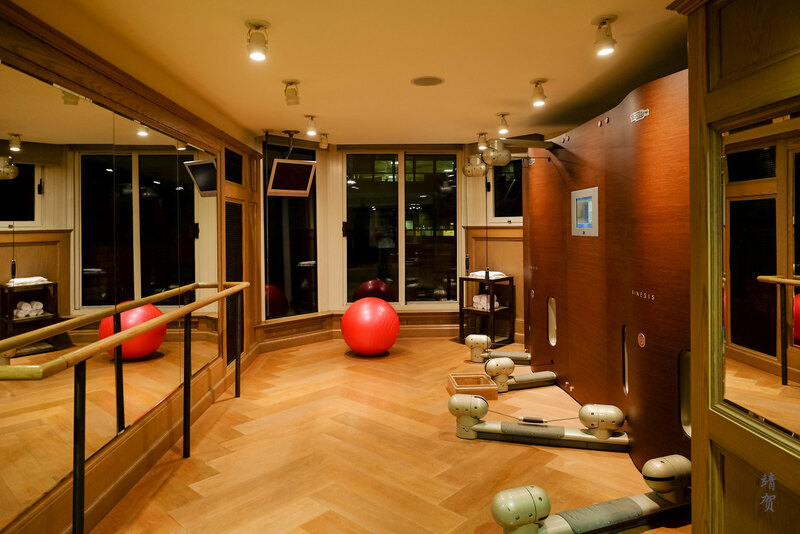 What makes this fitness centre special is the size which is large for a city centre hotel. 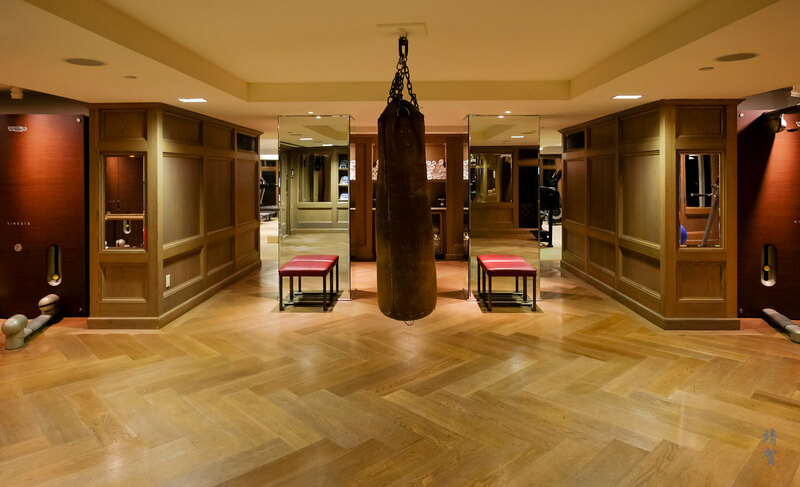 There was a large foyer on entry with a boxing bag in the middle. Towels and bottled water was provided in the fitness centre. 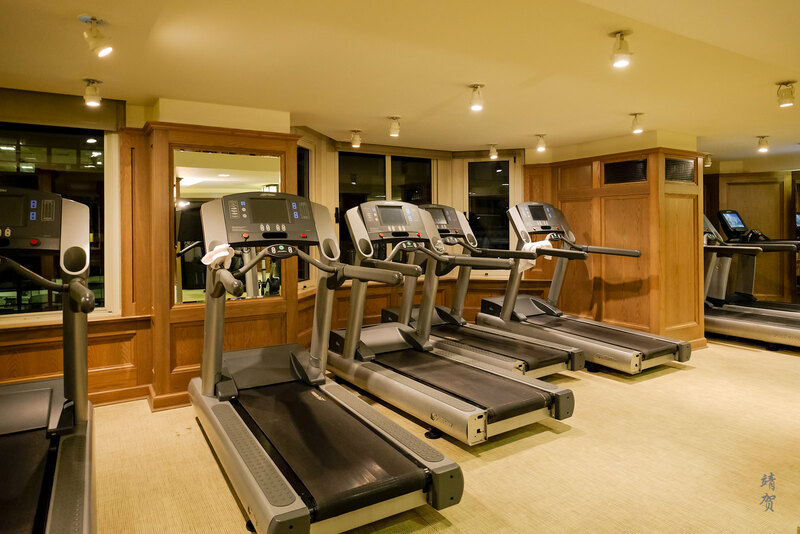 In addition to a large central area where all the treadmills and fitness equipments were located at, there was smaller rooms that contains more specialized equipments along with gym balls. 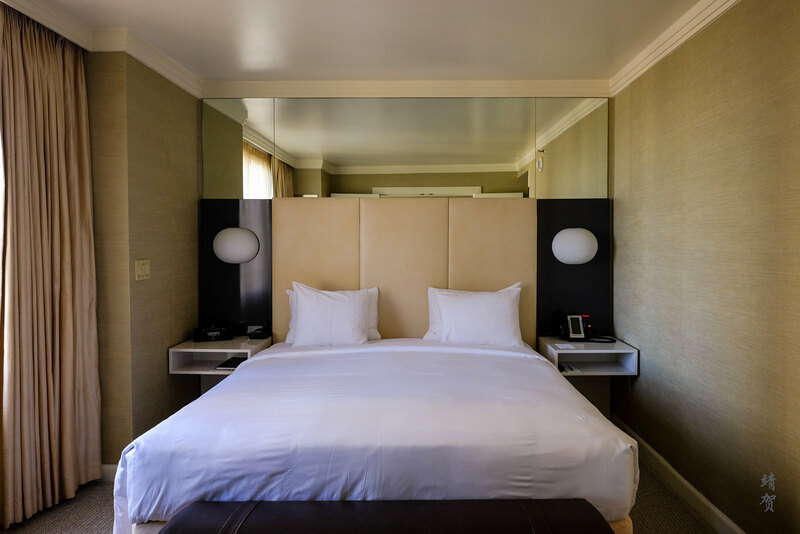 With most of the hotels in New York City being quite expensive, the rates charged here was around $450++ per night which is higher to what other hotels in the area charged. However there was a 3rd night free promotion which brought down the rate to make it more comparable. 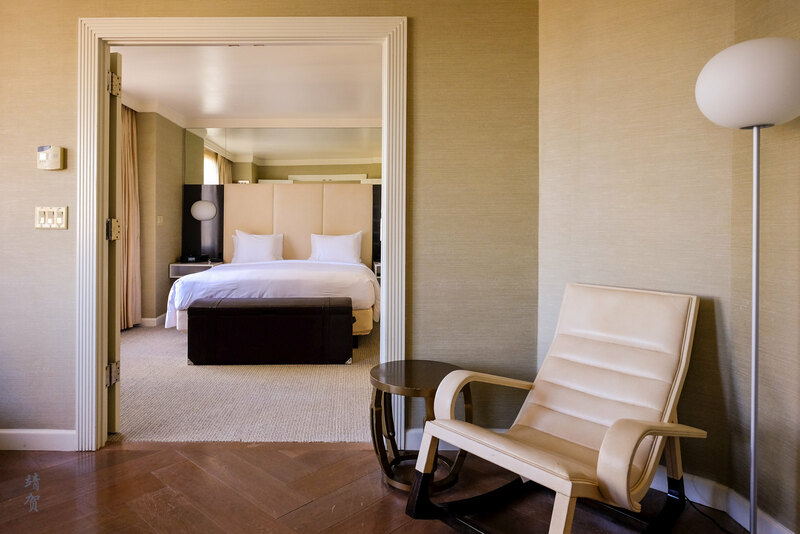 However the all suite configuration of the rooms meant it was a larger space that works better for us. Under the promo, I think this is a hotel that provides affordable luxury for travelers seeking to enjoy the city life.